Welcome to the website of Catlin Dental, PA. We hope that our website can serve as an educational tool to assist you in the selection of our many cosmetic and general dentistry services. 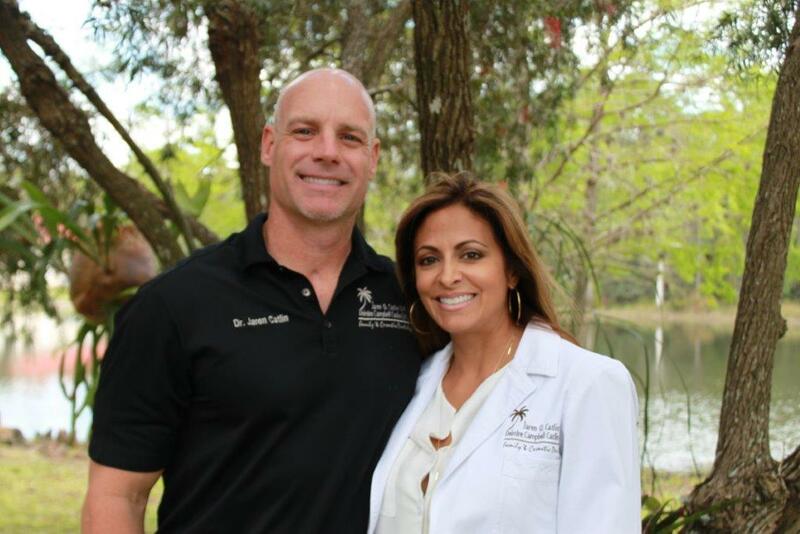 With more than 20 years of combined experience, Dr. Jaren Catlin and Dr. Deirdre Campbell Catlin are dentists in Fort Myers, FL that are eager to help you achieve your dream smile. We pride ourselves in not only creating a warm working environment for our dedicated staff, but we also treat our patients as family. At Catlin Dental, you won’t remain in the waiting room for long periods of time. No patient will ever be rushed through their appointment; we are a low volume and high quality practice. Our dental care is completely personalized, meaning each patient is created a unique oral health plan that matches their specific needs. When you visit Catlin Dental, PA, you will encounter an entirely new dental experience. With beautiful trees decorating our entrance and a waterfall greeting our patients, it’s like walking into a pleasant resort. We want our patients to receive the dental care they need in a relaxed, anxiety-free setting. With a spa-like atmosphere and windows overlooking gorgeous foliage, our office surpasses the typical clinical feel most other dentists provide. Catlin Dental, PA is a bilingual office, and we welcome Spanish-speaking patients. Patients searching for a female dentist in Fort Myers may request an appointment specifically with Dr. Deirdre Campbell Catlin. We also offer emergency dental services to both existing and non-existing patients who require immediate attention. Both doctors are on call and will happily assist you if an emergency arises. Call 239-936-7400 or Request Appointment! Please browse through our website and be sure to contact us if you have any questions or would like to schedule an appointment. NEW PATIENTS CLICK HERE to learn about appointments & payment options as well as find answers to frequently asked questions, download patient forms & more. Fort Myers dentists, Drs. Jaren & Deirdre Catlin is a dental professional dedicated to general, family, and cosmetic dentistry with services including dental exams, dental makeovers, teeth whitening, veneers, crowns, x-rays, fluoride, cleanings, and more. Please come and visit Fort Myers, FL dentists, Drs. Jaren & Deirdre Catlin.